There are plenty of online casinos that people can choose from. Some of them are better than others. Casino Tropez has been in operation since 2001. In order to survive that long, they have to be doing some things right. Licensed by the government of Antigua and Barbuda and recognized as one of the most secure casinos being operated, Casino Tropez also realizes that they need to make sure they are continuing to offer what the people want from an online casino. In the past, the thing that people worried about the most at an online casino was the variety of games and how good the games are. Casino Tropez has never had a problem exceeding the expectations of any visitor to the casino. They offer over 400 games of many different varieties. Players can access these games by downloading the casino to their computer, playing the flash player version of the casino or using the mobile app on their smartphone. All of these will allow people to play the games they like easily and safely. No matter how many different games an online casino offers, they are still not able to duplicate the real casino experience. There is something missing and that something is other people. Casino Tropez is changing that by offering live dealer games at their casino. These are available with the downloadable casino. The live dealer games allow people to enter the casino and sit down at a table. They can view the dealer through streaming video and they will be playing roulette, blackjack or baccarat in real time. The screen of their computer will allow them to place their bests and to watch the dealer do their job. There can be other players at the same table at the same time. It is as close to the real casino experience as you can get. Before you sit down at one of the live dealer tables at Casino Tropez, take some time to learn the basics of the game and a few strategies. To do that use the casino school that is offered on the home page of the casino. The schools will teach you some great ways to increase your chances of winning at the live dealer games. This is not something that you will find at many other online casinos. Like other casinos, Casino Tropez knows that players enjoy promotions and they are not afraid to meet the customers’ expectations. 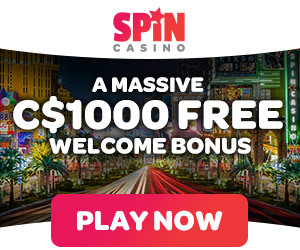 They offer 100% matching on your first bonus up to $100 and they will also match 50% of any deposit up to $1,000 on any other deposit made that same day. The second deposit is matched 50% up to $200 if it is not made the same day as the first deposits. Players can also receive up to $2,700 in matching deposits for the next 27 Sundays that they are a member of Casino Tropez. Anyone that joins Casino Tropez can rest assured that they are going to get the latest games and methods of play that any online casino can offer. They have been doing this for more than a decade and will continue to upgrade their casino in the future. Whether you want to play live dealer games or if you want to enjoy a great mobile casino, Casino Tropez is the right choice. Copyright © 2019 LiveOn Casinos. All rights reserved.